This 3D illustration shows the position of the newfound cluster of galaxies and reveals the extent of this gigantic filament structure. 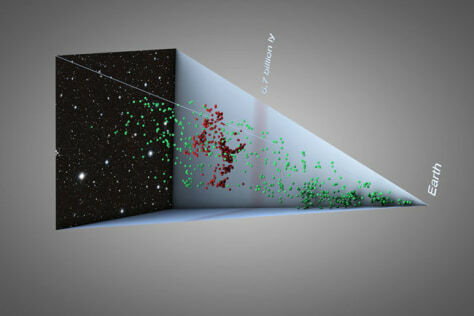 The galaxies located in the newly discovered structure are shown in red. Galaxies that are either in front or behind the structure are shown in blue.